My siblings and I would always fight over who got the toy out of the cereal box. It even became a sly game of determining where the toy was inside the bag without pulling the bag out of the box or in digging around inside. There were rules our parents setup to keep things fair (which in a family with 6 kids is next to impossible). There was sheer joy when you’d be the one to pour the toy into your bowl, which was supposed to be the only legit way of gaining possession (It will come as no surprise to hear that we found ways around that idea). Most of the time, marriages start out like the pursuit of that toy. We find ways to be together. We spend time crafting ideas and ways to be creative in our pursuit of the prize. We get euphoric and that incredible rush when we finally get what we’ve been pursuing. Once we’ve gotten what we want, we often don’t really know what to do with it. So much of life is about anticipation, the pursuit, and the chase; and marriage is no different. A couple I was recently counseling highlighted this dynamic. They explained how much coasting they had done in their relationship, that 18 years later they woke up to realize how much distance there was. 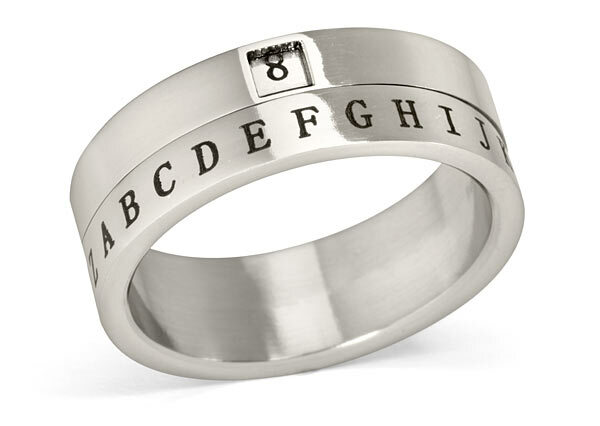 The husband explained that his wife needed a secret decoder ring to interpret all of his jumbled communication. She, of course, did not have that ring and thus their communication was stagnant. It was true for them, and will be for many other marriages: Without persistent work, couples will eventually lead separate lives losing valuable insights and connection with their spouse. In the 10+ years I’ve been working with couples, I’ve seen that it doesn’t take much to throw off the equilibrium of a relationship. It’s easy to see that a disabled family member, death of a child, or the loss of work could be highly disruptive to a relationship, but those are not the real cancers of relationships. The real cancers are the unspoken everyday fouls made with one another that do not get the attention they need. Effort is something we reserve for what is most valuable and precious in our lives. My guess is that if someone were to visit the homes of a stale or cancerous relationship, they would see television, social media, work, and kids as the main areas that the majority of effort is spent. Rarely do I interact with couples where I hear of regular consistent time spent together away from the easy distractions of life. This is true at my office, but also in my own social circles. The sad truth is that couples just don’t spend the time together needed to sustain their relationship. Sure, it’d be lovely to have a secret decoder ring to find out what the other person is really saying. Unfortunately, this ring would make the relationship worse. No one wants to be in a relationship with someone who’s always right, or who knows all the answers. This would feel more akin to a relationship between a child and parent than that of a marriage. The old adage is true: We get out of life what we put into it. If you put nothing into marriage, you’ll likely get nothing in return.